Listen up you young'uns, you don't know how good you have it. When I was in high school this is what we learned to type on, a typewriter. OK granted there was a computer lab right next door, but they still had a load of these antiquated devices and they were hellbent on using them. 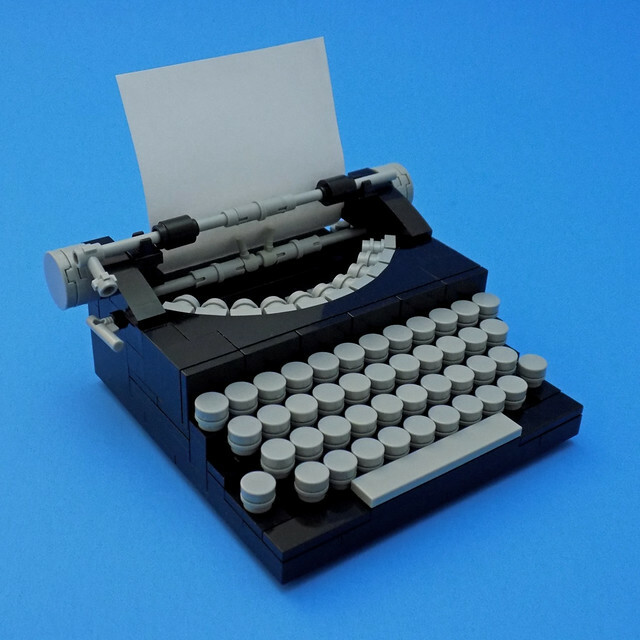 So this lovely and clean little MOC by cmaddison stirs up a weird combination of nostalgia and post typographic stress disorder.